The Chevy Bolt is an all-electric car that has thoroughly redefined the meaning of a fuel-efficient vehicle. Chosen as Motor Trend’s 2017 Car of the Year, the Bolt is the total package, integrating innovation and efficiency. Having an EPA-estimated 238 miles with every charge and a strong acceleration that can send you from 0 to 60 in 6.5 seconds, this all-electric car is ready for long trips. You can easily change gears electronically in the Bolt, resulting in a seamless and accurate feeling as you drive. Moreover, it contains more space for front passengers and the cargo space to store even sizeable, awkward gear. One of the most beneficial characteristics of the Chevy Bolt is that it is possible to charge the battery as much or as little as you want, dependent on how much time you have. If this information has ignited your interest in this outstanding car, pay a visit to Crews Chevrolet to explore it for yourself. 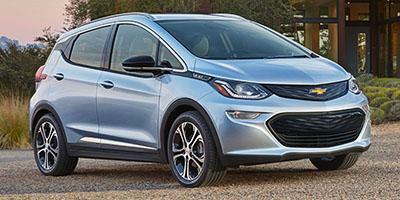 Explore our inventory of new 2019 Chevrolet Bolt EV vehicles for sale near Charleston, SC. As your North Charleston Chevrolet dealership, we offer an unbeatable selection of new vehicles at great prices. Whether you're seeking to buy or lease, the sales professional at Crews Chevrolet will work with you to help you get the best deal on a car, truck, or SUV in North Charleston. Questions about one of our new cars? Call us at (843) 480-0041 or contact us online, and we'll get back to you promptly. When you're ready to test drive a new 2019 Chevrolet Bolt EV vehicle at Crews Chevrolet, visit our Chevy dealership near Charleston, Summerville, and Goose Creek.